An increase with time of serum PAP concentration reflects a progression of the disease. A decrease indicates that the acute phase of the crisis is ending. Thus, analysis of the variations of the serum PAP level in a patient provides information on the progression of acute pancreatitis. patients presenting a serum PAP level higher than 17.5 ng/mL have a reduced overall survival after surgery compared to patients presenting a serum PAP level lower than 17.5 ng/mL. 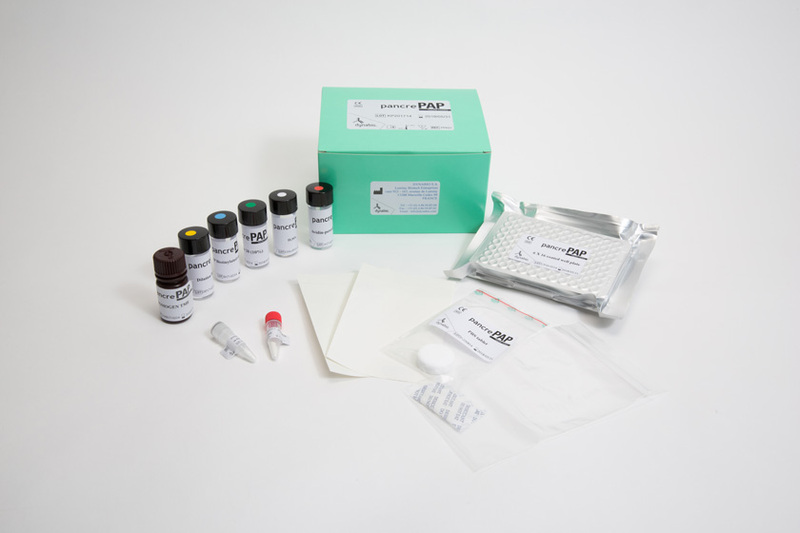 A kit for assaying PAP by ELISA, called PancrePAP is available from DYNABIO. 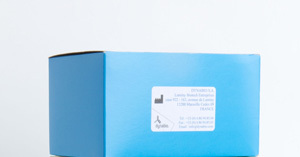 The kit allows PAP assay in human serum or plasma. It contains all reagents for 96 PAP assays and instructions for use. Its shelf life is 6 months. The microtitration plate contains six 16-well bars, which can be used independently if a few assays have to be made at a time.